At CVRC, we have found the most success through a collaborative approach to diagnosing and treating our patients. In emergency and urgent care situations, our emergency clinicians work hand-in-hand with our specialists, ensuring that your pet receives the highest quality, multidisciplinary medical care. Our specialists and emergency doctors are committed to communicating and working with your primary veterinarian as they formulate diagnostic, treatment and follow-up care plans. The leadership of CVRC understands the need for a culture that embraces communication. 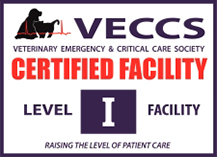 Dr. Green previously founded Katonah Bedford Veterinary Center in Bedford Hills, New York, where he and Dr. David Sachs, co-founder and Medical Director of CVRC, gained a decade of wisdom and experience in specialty and emergency medicine. “At KBVC, we had 125 people. It was an amazing place, with a staff that was like a large family, and a culture that understood the goals of great veterinary medicine and service.” Several key team members came with them to Charleston, including Practice Manager, Patricia O’Keefe, and Operations Director, Michael Parks.